A show that embraces the fast paced world of…you guessed it, the internet! Our players will create scenes based off suggestions from all across the World Wide Web. This includes the ever profound social media sites like Facebook, Twitter, and Instagram (just to name a few) and the endless bounty of sites like Amazon and Etsy with their amazing and not so amazing products they sell. Banana slicer anyone!? If you are bold enough we may even look at your internet profile for inspiration. 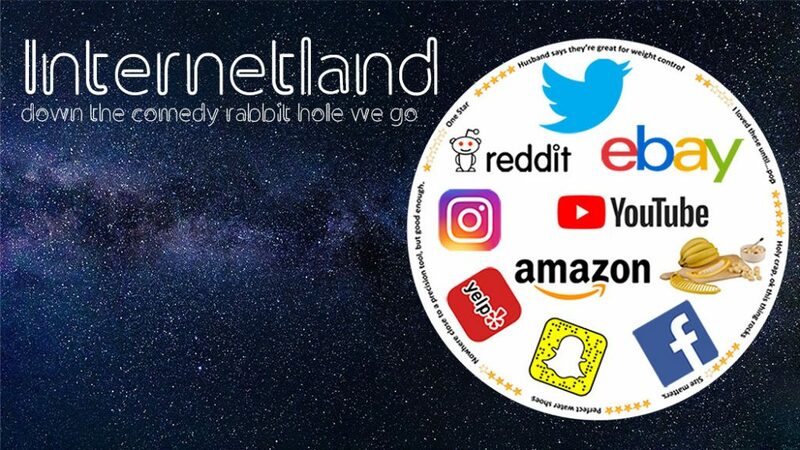 There will be plenty of laughs in this show as we go deeper and deeper down the internet rabbit hole.